Those plays included one showing Steelers linebacker Ryan Shazier drilling Cleveland Browns rookie DeShone Kizer while Kizer was giving himself up in a sliding position. Shazier earned penalty flags for that hit. “Bruuuhhhh,” Burfict wrote on a retweet of Roethlisberger’s play, before deleting the tweet. He also retweeted the hit on Kizer. Shelton took to Twitter on Monday to write about the play against his teammate. Burfict’s Twitter “likes” section is an interesting place. The now private Twitter account features an interaction with a fan’s tweet, which shows the fan flipping off Heinz Field in Pittsburgh. He also ‘liked’ several fans tweets, which said he should be getting more help from the NFLPA regarding his current suspension. 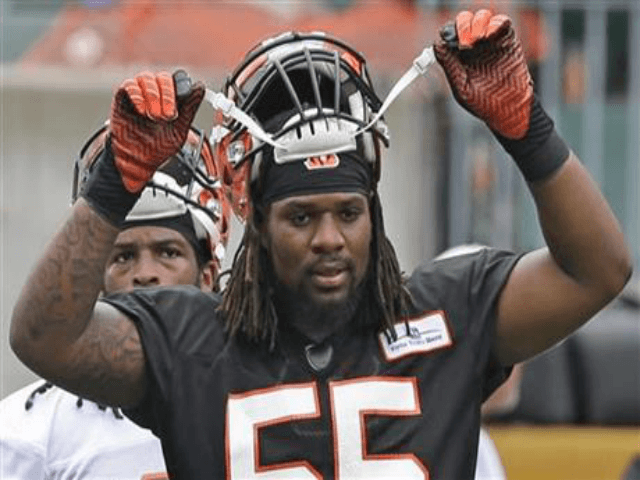 Burfict, 26, is currently serving a three-game suspension after a hit he made in an August preseason game against the Kansas City Chiefs. The ban was originally for five games before it was reduced. The linebacker will miss games against the Houston Texans and Green Bay Packers before returning on Oct. 1 against the Browns. The 2013 Pro Bowl selection agreed to a three-year, $38.68 million contract extension with the franchise on Sept. 7.